Operations at the South Coast Sewage Treatment Plant have improved significantly. This from Minister of Energy and Water Resources, Wilfred Abrahams while giving an update on the South Coast Sewerage Project, in the conference room of the Barbados Water Authority (BWA). He said the 8-inch and 12-inch emergency outfall on the south coast have been commissioned and the gravity main has been repaired. Abrahams said that the outfall extends 815 metres (2,700 feet) offshore with two distinct high-density polyethylene lines (HDPE), which was installed by Ward Drilling Inc., with sub–contractor Marenco Marine Ltd. One 8-inch and one 12-inch lines have been installed, with both of them capable of taking the entire flow from the plant individually. “The pumps at the plant have been adjusted to operate more efficiently and we have increased monitoring of the equipment and its performance and output. So, the monitoring of the entire sewerage network by the BWA has stepped up significantly”. 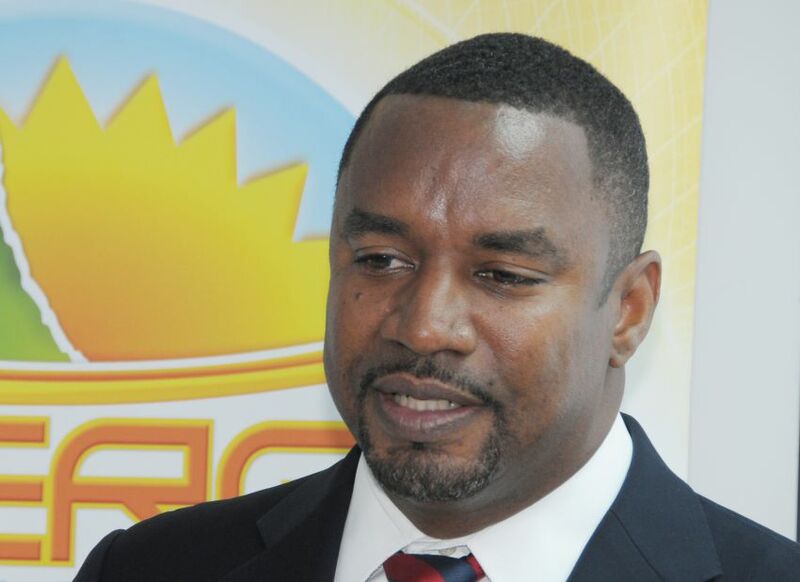 Minister Abrahams also reported that the BWA and the Ministry of Health and Wellness had worked on dredging the swamp and removing the deposited solids that had settled in the eastern section of the swamp. He said that the fish had been reintroduced back into the stream and the natural springs opened up to bring spring water back into the swamp. He also noted that the odours, as well as the mosquito population, had been significantly reduced, as a result of this ongoing work. With regards to Worthing Beach, which was reopened on December 24, last year, Mr. Abrahams said: “The Environmental Protection Department continues to monitor the water quality, and samples the beach consistently since the outfall has been in operation, and I am pleased to report that the results have consistently and comfortably passed the international standards for safety and those required by the Ministry of Health. 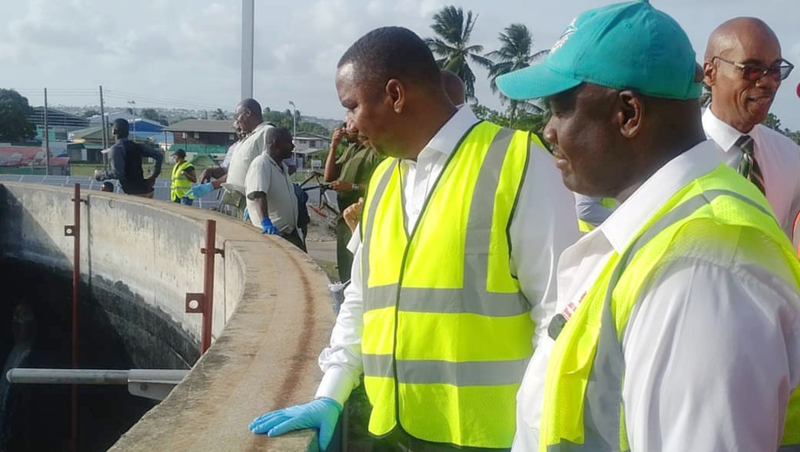 According to Minister Abrahams, on Saturday, January 26, the overseas contractor, Backflow Compliance, was able to successfully line the section of sanitary sewers between the old Scotia Bank building and Graeme Hall Nature Sanctuary, using Cure In Place Pipe Technology. He said this involved the use of specialized equipment, flown in specifically for that purpose, and as a result, the breaches of the line had been sealed, eliminating groundwater infiltration, which was being experienced in that section. 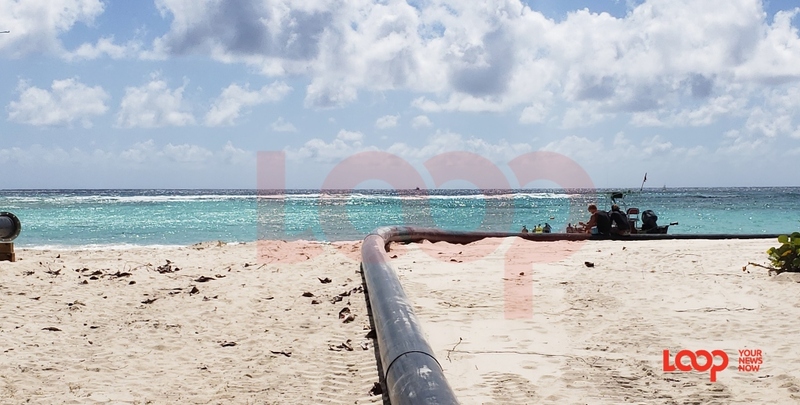 He also disclosed that a flushing and jetting programme of the sewer lines would be commencing soon, since some normalcy had returned with respect to the control of the sewage inflow and outflow. The Minister said that there would also be continuous testing of other areas of the lines using sonar and GPR technology to try to identify any other issues with the lines, in an effort to take preventative steps where necessary to minimize events which may lead to disruption of the service.